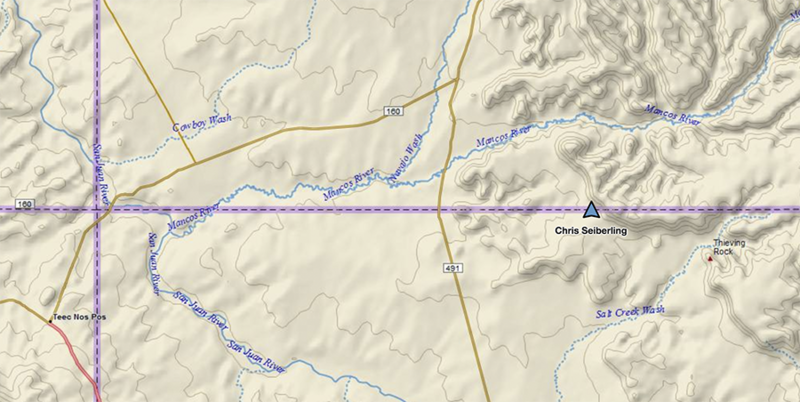 On the borderland between the Navajos and the Mountain Utes, we see no fences: no reason to expect any intertribal chin music along the boundary. 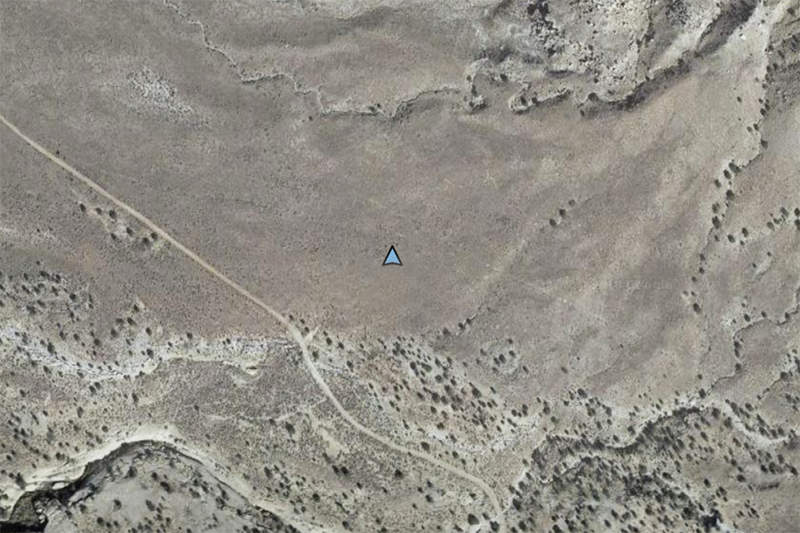 The USGS map shows no name for the plateau; the 1000 foot mesa to the east is also governmentally nameless. 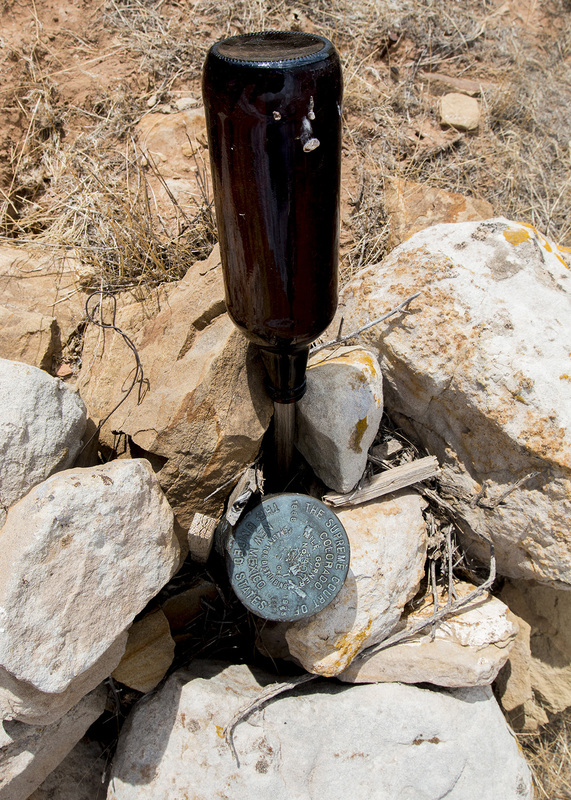 Cattle have grazed here; the survey monument was decorated with a brown bottle on Arthur Kidder’s survey stake; but no one’s here now. Or anywhere, for miles. Mesa Verde National Park is only 15 miles northeast of here, and the Navajo town of Teec Nos Pos is around 40 miles west-southwest, in Arizona. But no one’s here. Seven miles from here there’s truck traffic on US 491 running between Cortez, Colorado and Shiprock, New Mexico, but no one stops. A clear, quiet desert wind blows into our faces, out of Utah.